Ideally we would all get a good night’s sleep every single night, but unfortunately that simply is not going to happen. Virtually everyone will suffer from sleep deprivation at some point in their lives, as most new parents soon come to understand. There are ways of managing, if not always overcoming, sleep deprivation. Sleep deprivation, even the words are enough to make most of us yawn. Having to get through your day when you have had nowhere near enough sleep is tough, you do not bring your A game to the day, in fact, you probably left your A game at home with your lunch. It is going to be one of those days. But before you completely resign yourself to having a terrible day, there are a few things that you can do to overcome the feelings of exhaustion. 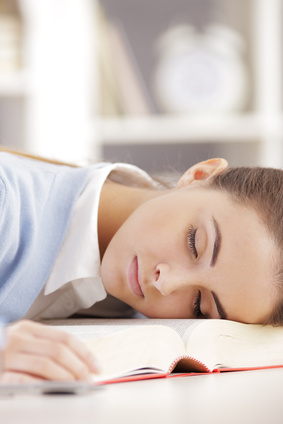 The first and most potent way of overcoming sleep deprivation is to take a power nap. A good power nap can rejuvenate and recharge. It is able to somehow magically restore you back to about 80% operational efficiency in just a matter of minutes. The key is to nap for the right amount of time, if you oversleep then you will simply make yourself feel worse. The optimal nap time is between 20 and 30 minutes. This is because after 30 minutes or so you will go into a deeper stage of sleep, which makes waking up harder and will leave you groggier than before. 20 to 30 minutes is the perfect amount of time, it will leave you feeling far more refreshed and will help you get through the day without crashing. Just remember to tell your boss if you are power napping at work, otherwise you might not have a job to wake up to! The other great way of overcoming sleep deprivation is to exercise. A quick jog or swim will help get the endorphins pumping and this will help your body and brain defeat the impending exhaustion. Exercise is a great way of waking yourself up and if you can squeeze even a 15 to 20 minute session in it will do you good. The other way of dealing with exhaustion is to go out into bright sunshine as this will help your body clock. The body clock is synchronised by sunlight and if you spend all day inside this will only compound your exhaustion. Take a walk during lunch, get some natural light and you will feel a bit better. You can combine this with exercise for a double boost. We all suffer from lack of sleep at some point, but you can do something to moderate the exhaustion. A power nap is a great way of recharging the batteries. Just don’t sleep for more than about 30 minutes. Another way of overcoming sleep deprivation is exercise as it gets the body and brain pumping again. Sunshine helps to calibrate the body clock and will moderate the tired feeling, combine with exercise and it is even better. Sleep deprivation is something that we will all have to deal with at some point but you can reduce those feelings of exhaustion and make your day better. Take a nap, do some exercise or even just get out into the sun during lunch. Back to the Sleepcentre home page.